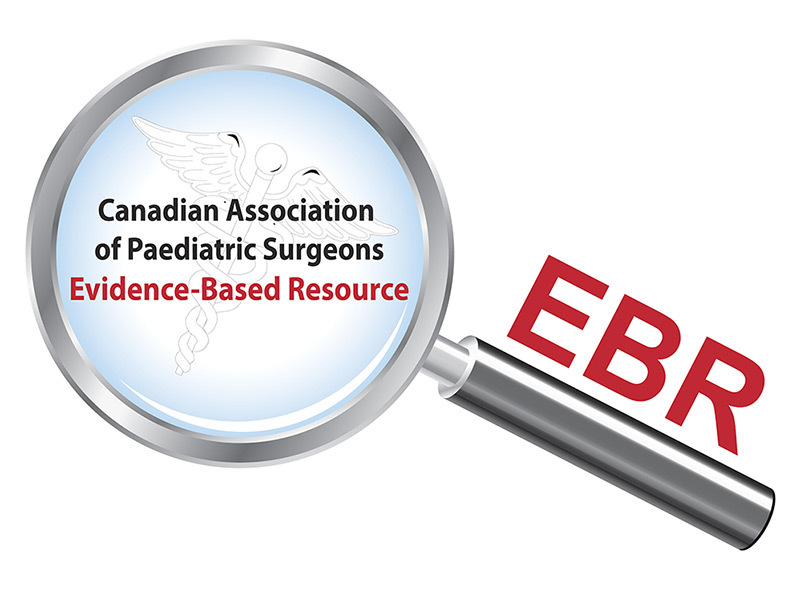 The goal of the Canadian Association of Paediatric Surgeons Evidence-Based Resource (CAPS EBR) is to promote evidence-based practice among pediatric surgeons in order to ensure that children and youth within Canada and around the world receive the best surgical care. The CAPS EBR responds directly to the information needs of pediatric surgeons by providing them with easy access to up-to-date research evidence on key topics of concern, with the addition of clear assessments of the quality of the evidence. By doing so, we facilitate the rapid uptake of good evidence into practice. We also promote the advancement of high-quality research in the field by highlighting topics where additional research is required.